Every once in a while a trend comes along that I can't get enough of. 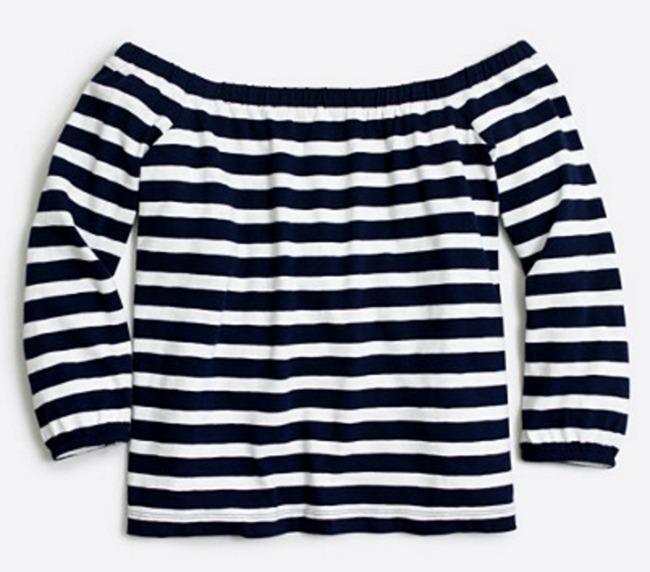 Such is the case with off-the-shoulder tops. 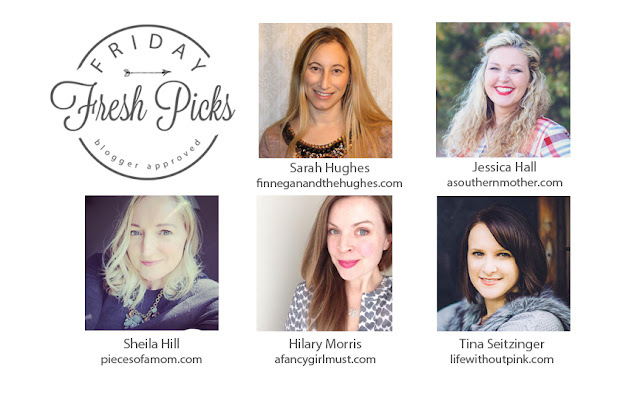 Last spring and summer, I jumped on the bandwagon, and this season, I am thrilled to see that the trend is still going strong. 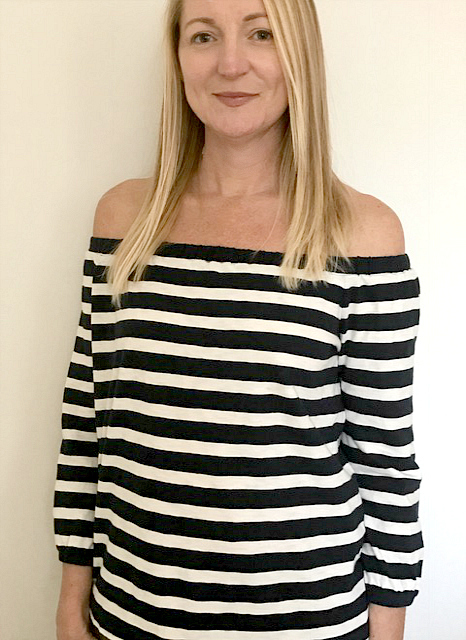 What I love most about off-the-shoulder tops is that we all have great shoulders, making this style of top universally flattering. In today's installment of Friday Fresh Picks, I'm sharing a few of my favorite off-the-shoulder tops. If you don't have an OTS top, it's time to get one! This top is currently my favorite. It's made of a soft, knit cotton that is so comfy. It stays up nicely so you don't have to constantly tug at it and situate it on our shoulders. Also available in maroon and white stripes. I wore it yesterday when the weather was unseasonably spring-like. 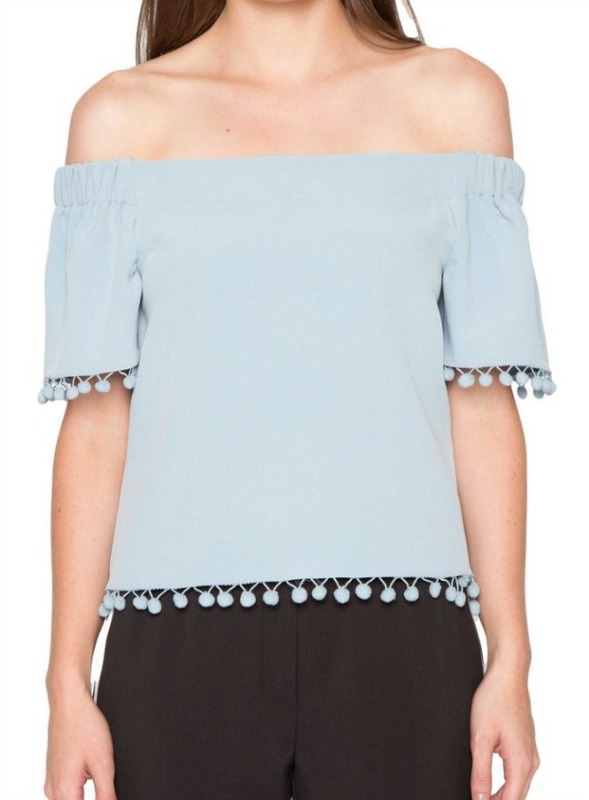 How cute is the pompom detail on this top? It's adorable! This top would pair nicely with white jeans or white shorts and these sandals. 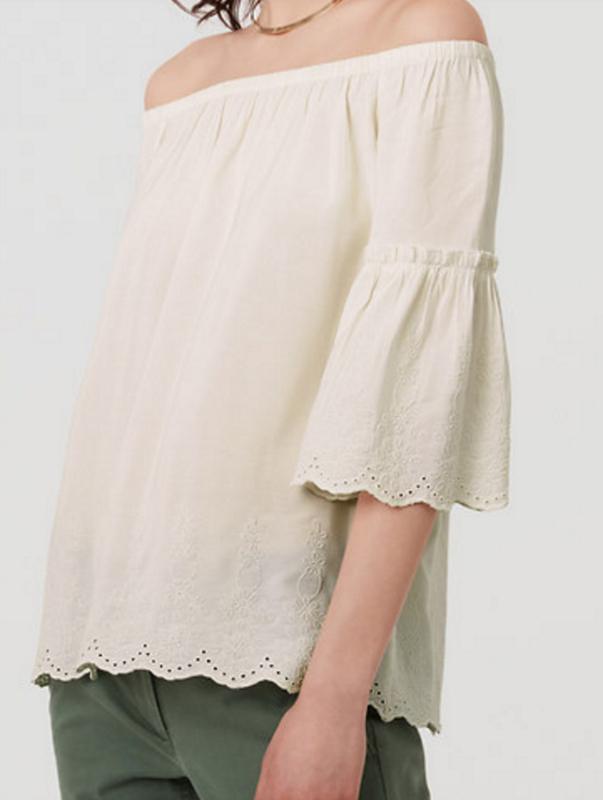 Let the neckline do the talking with this simple, eyelet cotton top. 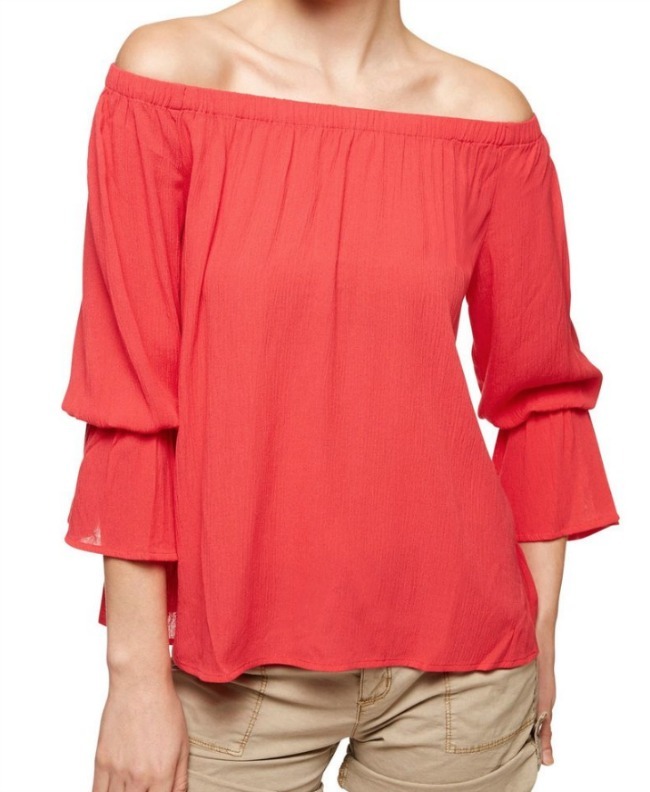 Bell-Cuff Sleeves Off-The-Shoulder Top ($79) - Available in several colors and prints. I don't wear red often enough, but this top sure makes me want to wear red. I love the cut of the sleeves too. Florals are huge this spring. You will see them everywhere. 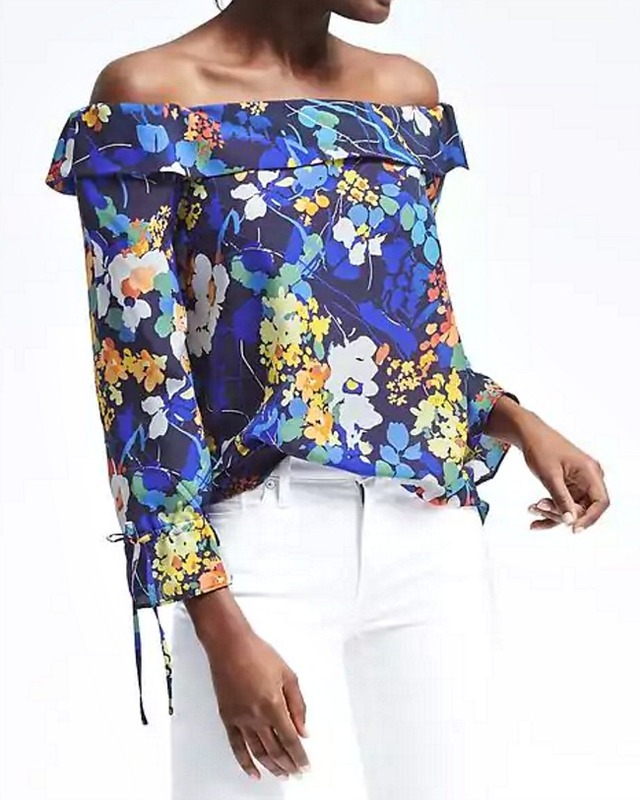 I love how modern this floral print is. It's definitely not your grandmother's florals. 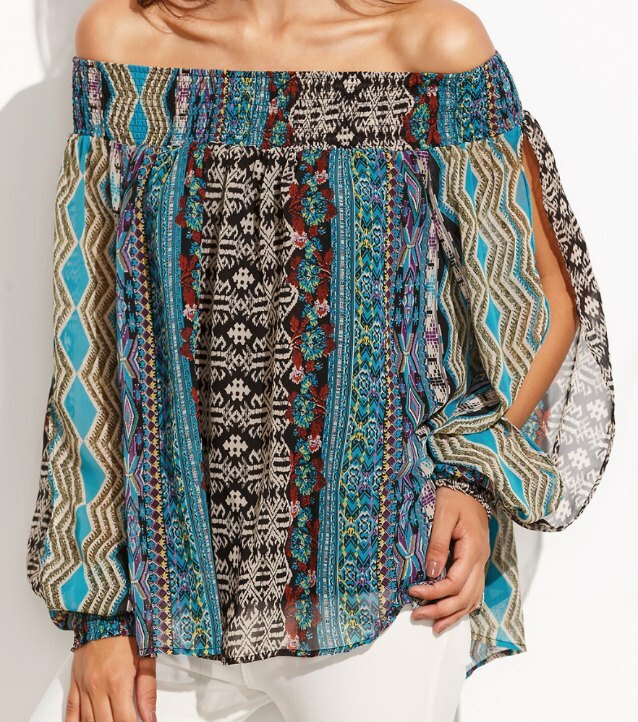 This top is so fun and festival-ready. Pair it with a pair of cut-off shorts, and you're ready to rock it out in the desert! 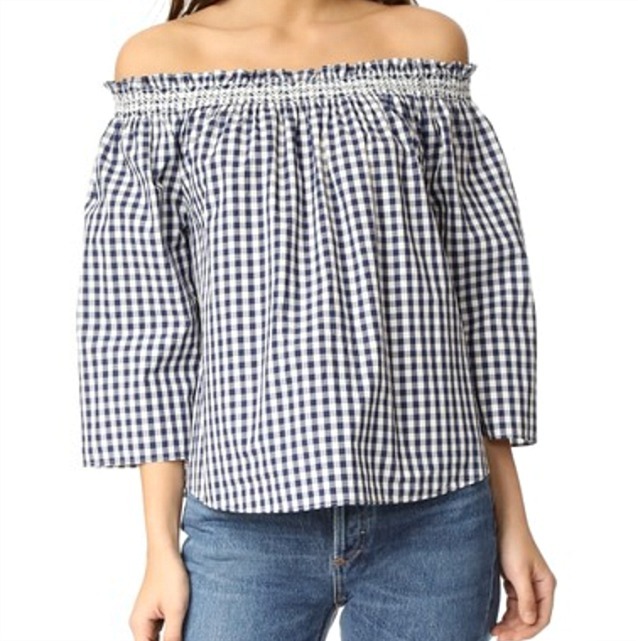 Are you ready to rock the off-the-shoulder trend?